We are finally done with all the major holidays, at least for now. It is time to get back to a healthier and leaner diet after the feasting of the past two months. I am so looking forward to lighter foods and warmer days. While it is still cold here, the days are slowly getting brighter and longer again. Spring will be here in slightly over a month…YAY! Of late, you have probably noticed that I am into smoothies. Our day starts early because of school and work and so breakfast is early. By mid morning I feel like I need a little something to carry me through. Since I do not favor chewing on fruits and raw vegetables at that time, incorporating them into a smoothie is a good way to get the nutrients into the body. I find it light and refreshing and it gives me a boost of energy. On days when I take a smoothie, it is not necessary for me to do lunch. Works out really well for me. I usually use unsweetened soy milk as a base for my smoothies since that is what my boys drink in the morning. We love soy milk but it has a stronger flavor which may not always combine well with some fruits. Coconut milk in cartons is a good option as it has a very mild flavor but it is not something I purchase on a regular basis. I only buy it occasionally for curries and desserts. That leaves me with rice or almond milk. I decided to go with the latter this time because they were on sale at my regular health food store last week. These do not come refrigerated and so I bought a couple of cartons to store in the pantry. I only found out recently that the enzyme in kiwi turns milk bitter. Strangely I did not have that experience in my Kiwi Banana smoothie. Not sure if the banana helped neutralize the effects a little. I do like the almond milk though as it is lighter. This is a beautiful smoothie! The almond milk added some great protein too, I’m sure. I definitely need to get back on the healthy train after the holidays. Been traveling a bit and it’s been hard to get back on track! 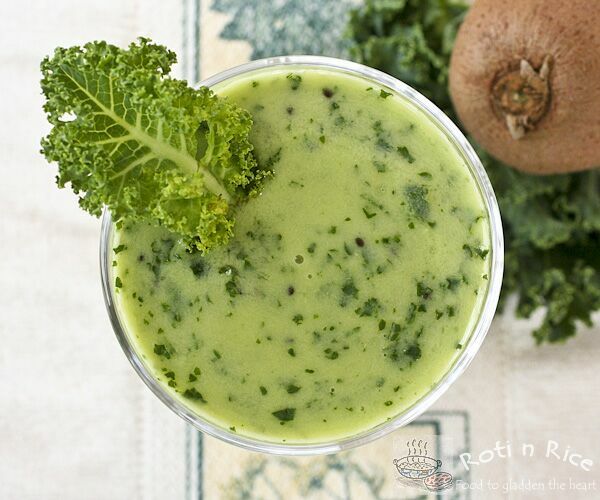 I love the idea of use kiwi and kale together! What a yummy smoothie! Hi there. 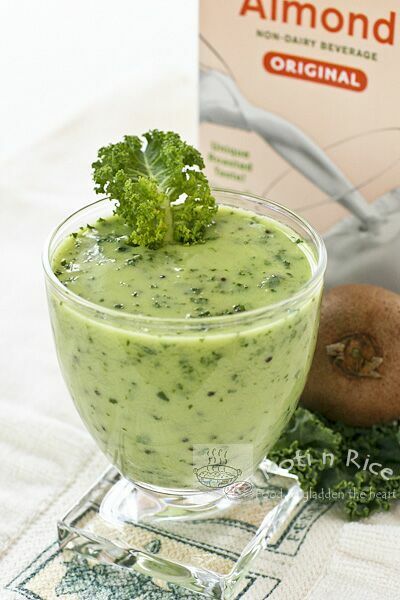 The current Food on Friday on Carole’s Chatter is collecting links to posts about shakes and smoothies. I do hope you link this lovely one in. This is the link . Please do pop back to check out some of the other links – there are a lot of good ones already. Have a great week. Thanks for the invite Carole! I guess I am a little late. Perhaps I will link up another time. Awesome! I love smoothies and this one sounds really good. Thanks for sharing! 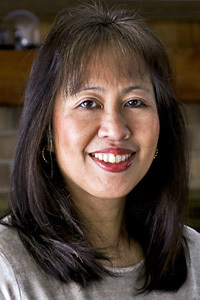 Thanks Patricia for visiting! 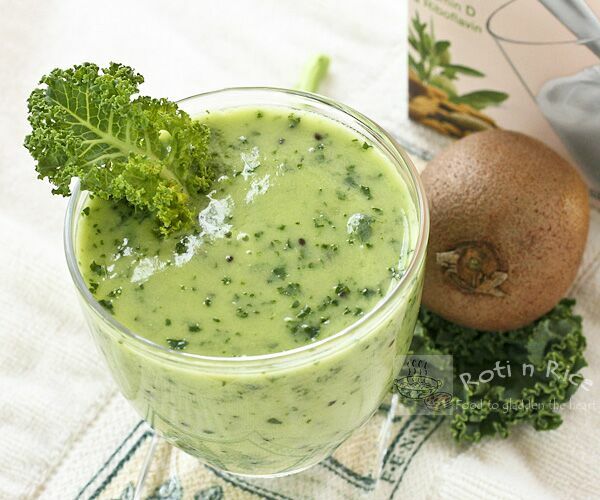 This smoothie is very refreshing, a good one to try. What an interesting flavor combination! Maybe I should follow your lead and start preparing for summer… but the snow is still here!